I think it’s an admirable quality to be able to roll with the changes – especially in this instance! As far as anyone knew, Sir Ridley Scott was currently hard at work on a prequel to Alien, the ground-breaking and hugely-iconic fusion of Science Fiction and Horror that made his name. Except, as it turns out, he’s not. It seems that the pre-production creative process had actually generated a wholly new and entirely original Science Fiction concept, entitled Prometheus and which is set for release in March 2012. Hmmm, perhaps this is the “something even more dangerous that you haven’t seen yet” that Scott alluded to in his written introduction the the recent (and utterly must-own) Alien Anthology Blu-Ray set. According to the press release, Prometheus will have five major roles and the first to be cast is the excellent Noomi Rapace who was utterly magnetic as Lisbeth Salander in the Swedish TV/Film adaptations of Steig Larrsson’s Millennium Trilogy of novels. And, for the moment, that is all there is to know, but it’s certainly enough to elicit the following response. This is excellent news indeed. The notion of Scott returning to the Alien franchise was, in truth, always a double-edged sword. On the one hand, one’s inner fanboy was undoubtedly stirred by the thought of Scott returning to the site of one of his greatest creative triumphs and expanding the mythology that arose from it. On the other, prequels do have a strong and terrible habit of devaluing what has come before and, thanks to the woeful Alien Resurrection and the two grossly-incompetent acts of cross-breeding with the Predator franchise, the Alien mythology had already been considerably damaged. Even with someone of his calibre and vaunted connection to the franchise, the risk was still high. If the Alien Prequel quietly disappears altogether as a result of this development, it will be no bad thing. Moreover, I strongly felt that, given that Scott is 73 years old, it was much more preferable that he devote two-or-so years of his very precious time on an original project. It’s therefore utterly pleasing to hear that this is the case. Yet, it’s not just Scott who should be applauded for taking a new, untrodden path. Sequels, Prequels and Reboots are always going to be attractive to studios as it has the relative ease of revisiting or reversioning existing material, but doing something new is a considerably more risky venture. However, from the latter we have seen the breathtaking and ground-breaking likes of Avatar and Inception, so a hearty “Bravo” to Fox for moving forward with this. 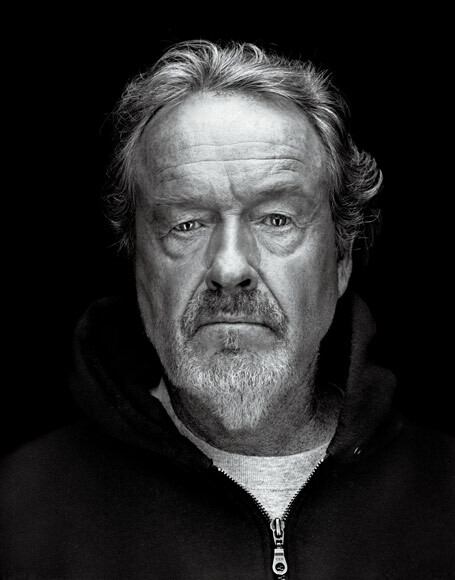 Ridley Scott. Back in Sci-Fi. Happy, happy day.